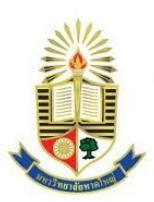 Hatyai University is a private university located in Hat Yai, Songkhla province, Thailand. Founded in 1997, the university currently offers undergraduate programs though its five faculties: business administration, law, liberal arts, science and technology, and communication arts. Its graduate school also offers education administration and business administration programs.